This vibrant new edition of the internationally acclaimed original features an updated design and nearly 60 stunning new photographs. All new captions and the addition of authoritative new texts by experts in various environmental fields illuminate Arthus-Bertand's monumental achievement. Ecology, a science scarcely a century old, aims to give its practitioners an approach to understanding how whole natural systems--for example, watersheds, deserts, and estuaries--work. 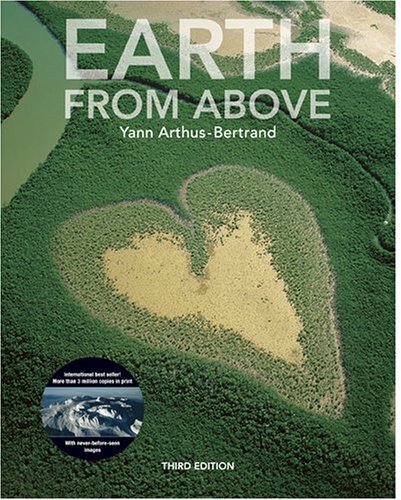 Few books translate this aim as well as Earth from Above, a stunning collection of photographs that affords its viewers a window into the world's workings. It is something of a commonplace, for instance, that the large-scale logging now being visited on the world's rainforests is causing untold damage to tropical ecosystems. In French photographer Yann Arthus-Bertrand's hands, this problem is translated from arid fact to alarming image, giving immediate meaning to the statistics that underlie today's environmental headlines; his photographs of the ruins of rural Madagascar, where forests are being cleared at a rate of 1,500 square kilometers (580 square miles) annually, are a sad case in point.